In becoming a Reiki Master you are attuned to the full power of the Reiki energy. Self-awareness is key, and through practicing techniques to expand your consciousness in every aspect of your life, profound realizations and transformations are possible. If guided, the path of teaching also begins to unfold. 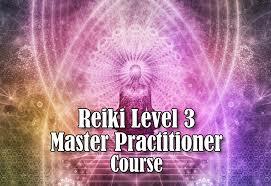 The third level is made up of two different types of Reiki Master: Master-Practitioner & Master-Teacher. Each has different requirements and different responsibilities. One must first begin with Master-Practitioner; this allows you to receive the Master Symbols and Attunements and to become adept at working with the energy. Then, if appropriate, you may continue on to become a Master-Teacher, which requires a much greater level of responsibility, integrity and commitment. The Master level of Reiki requires preparation and clarity of intention. Therefore, students who apply for Reiki Master are interviewed by Zaki to determine their readiness and intentions before they are accepted. Working with this energy at this level is a great responsibility, and one that is not to be taken lightly by either the teacher or the student. Our approach is different than most and is designed for those who are serious about working with Reiki and therefore may not be right for some individuals. The Usui Reiki Master Practitioner course is the final practitioner training level in the Traditional Usui Reiki System of Natural Healing. Explore the deepest secrets to help you constantly expand your effectiveness as a healer and to help you continue your journey toward enlightenment. This class provides an 8-hour class day, plus follow-up training as needed. Students receive the Master Attunement which opens all energy centers, training in use of Master level energy, the Master Symbol, techniques for accessing the purest, highest levels of Reiki energy and Wisdom, and guidance for personal mastery. At the end of this class, the student is no longer a student of the teacher, but rather a peer. The student is released to be guided by the Reiki Energy as his or her personal teacher. Not all candidates will be accepted. A preliminary interview is required. The teacher will award the certificate upon satisfactory completion of all requirements and demonstration of competency in all aspects of the practice of Reiki. For acceptance by the Reiki Council Training Center, the student must have received a minimum of Reiki II through any Reiki Council trained Reiki Master Teacher. The candidate must be comfortable with using each of the of Reiki II Symbols, self-treatment flow, and healings for others. Because Mastery comes only with experience, we strongly recommend a full year practicing Reiki before entering this level of training. Pre-Requisites: Reiki is necessary to have the level of experience to get the most from this class. • You will receive a Master Level Attunement from Zaki. This attunement allows one to channel the Reiki energy to a much higher capacity than in Level II. • You will be given the Usui Master Symbol & two additional Tibetan Symbols and taught how to use them. • You will learn how to properly work with the Master level energy. In addition, you will be instructed in multiple ways to raise your vibration and how to maintain this level of energy. This will help to keep your channels open, balance your energies, and to augment the flow of energy on a daily basis. It will also help to expand your awareness, feel more peaceful, more centered, and more powerful. Techniques include working with sound, color and aroma, as well as several advanced esoteric techniques. • The energy will become more integrated into your being, allowing you to offer more intuitive treatments. • You will be empowered to journey much deeper into yourself for self-knowledge and love. • You will receive a Reiki Master Level certificate. • You will receive on-going support from Zaki whenever you need it. Those who feel a calling to teach on either a full-time or part-time basis may continue on to become a Reiki Master-Teacher. Here you learn how to teach Reiki, to give attunements and to successfully initiate students to become Reiki healers. You will also learn about the spiritual and business responsibilities of being a Reiki Master-Teacher, and on-going responsibility for personal and spiritual development. 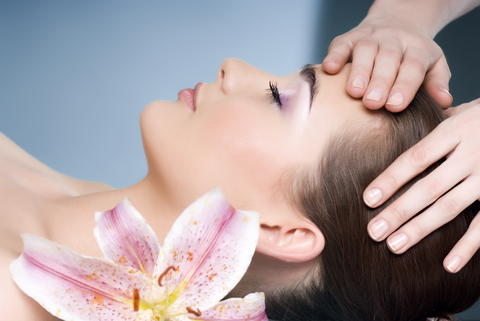 Take your Reiki to a whole new level. Learn with one of the most experienced and most qualified Reiki Masters Reserve your spot today. The training lasts two full day, about 8 hours. Ample breaks are provided,Snacks and lunch are included. Lunch is provided; RSVP Prerequisite: Reiki I & II. She will give to you special mini session, to prepare you for the class. Wear all white, comfortable clothing. Zaki has been practicing Reiki for over 26 years. In addition to teaching meditation, it is her full-time occupation. It is her life. She integrates it into everything she does. She has given over a thousand healings and several hundred Initiations in her lifetime. And in accordance with the true Usui Reiki teachings, she has given the prerequisite 25 Level I Initiations before she began giving any Level II Initiations. Zaki is the most sought after Reiki practitioner at the largest meditation resort in the world, in Pune India, where she goes every year for 4 months. She also teaches Reiki in Europe for several months each year and maintains a large international clientele. Because of her excellent reputation, she is being requested now by centers all over the world; in Germany, Italy, India, & UK. She also provides courses in Advanced Training for Reiki Masters Only. Reiki training can vary widely. Ask the Reiki Master who they learned from, and what their teacher’s qualifications were. Ask them why they chose their teacher and how many attunements they received during the Initiation. Another point to consider is lineage; how close they are to the original source (Mikao Usui). The further away from the source, the more distorted the teachings can become. And always ask to see their certifications and what they do to learn more about Reiki. To see Zaki’s Master-Teacher certificates, click here. Zaki travelled the world seeking out the best Reiki Masters to learn from; in India, Nepal, Tibet, & Singapore. And she is constantly learning more about Reiki all the time. Zaki is only six levels away from Mikao Usui. This is something that is often not even considered when selecting a Reiki Master-Teacher but is every bit as important as experience and training, maybe even more so. 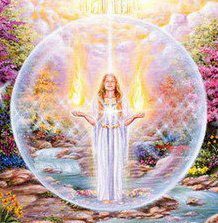 The more inner work a person does, the more they can become a clear channel for the Divine Energy to flow through them. 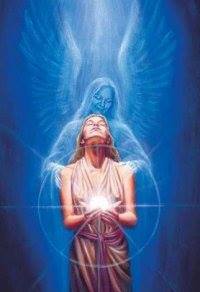 When a Master-Teacher gives you an attunement, they open your etheric channels and activate your energy centers. The degree to which your channels will be opened are directly dependent upon your willingness & desire and how opened the Master-Teacher’s channels are. If their channels are not open, then you will receive very little energy and your attunement will be ineffective, and ultimately your Reiki healings will be ineffective as well. This is where inner work comes in; it clears the mental & emotional garbage, removes the blockages, and allows for a potent attunement. If you want to have a powerful Reiki Initiation, then you must seek out a clear channel. Always ask what kind of and how much inner work (both personal & spiritual growth) the Master-Teacher has done. And, what they do on a daily basis to prevent any backslide. Most importantly, feel the Master-Teacher’s energy. You will sense it when they’ve done their work by how open their heart is and how loving they are. Zaki has done extensive inner work at the Osho Multiversity in Pune, India, totaling over 14,500 hours. She attended the Multiversity every year for at least 4 months a year for the past 23 years and also lived there for 3 ½ years. Work such as: releasing stuck emotions, discovering and changing beliefs, understanding personality & self, taking personal inventory, meditation, etc. One such course, called The Mystic Rose, is perhaps one of the most difficult offered at the Multiversity. It involves 21 days of continuous work: 7 days of laughing, 7 days of crying, & 7 days of silence. Zaki has done this particular course 18 times! For a complete list of all the courses & inner work she has done, click here. Zaki is also a Black Robe Therapist at the largest meditation resort in the world (Pune, India) where she helps others work through their issues as well. She is the most in-demand Therapist at the resort, her sessions are always booked, weeks in advance.She teach to the nurses and doctors, in hospital, in Italy. Daily meditation is also very important to keep the channels open and connect with the Source. Zaki does meditation every day, a very powerful form of meditation called Active Meditation, designed specifically for the modern man. She also teaches this type of meditation both here and abroad. Zaki is also very much a person of the heart. Love is really at the core of all her work. Her Initiations, her healings, her meditations, she does with Love. And you will feel that Love when you are with her. Let her open your heart as well. All the training & certifications in the world won’t amount to much if the Master-Teacher has not experienced some degree of real, tangible results in their practice. Ask the Master-Teacher about their experiences in using the Reiki energy. Ask for specific examples. Zaki’s story is an interesting one. While in her twenties, she had an operation to remove her diseased left ovary. Years later, the other ovary also became diseased and the doctor recommended removing that one as well. During the first surgery there were severe complications, resulting in coma and a lengthy and painful recovery. She did not want to go through that again so she searched for alternatives. She went to India, where she learned about Reiki and used it on herself. She returned to Italy for her scheduled operation, but when the doctor checked the pre-op x-rays, he was stunned. Not only was the ovary healed, but the other one he removed years before had grown back!! She has also helped heal others of many serious diseases, including cancer. One client had two brain tumors. He was scheduled for brain surgery to remove them. But after multiple Reiki sessions, the tumors disappeared and he cancelled the surgery. Of course, there are no guarantees, even with modern medicine, that similar results can be obtained in every case. Always consult your doctor before embarking on any healing regimen. “The psoriasis I had on my leg for years is now completely gone. The doctors couldn’to anything about it, but after several sessions with you, it’s totally healed. You definitely have the gift.” – Rose L.
“I’m not depressed anymore, I’m not scattered, my mind is at ease, and I feel like all things are possible now. I love you Zaki! 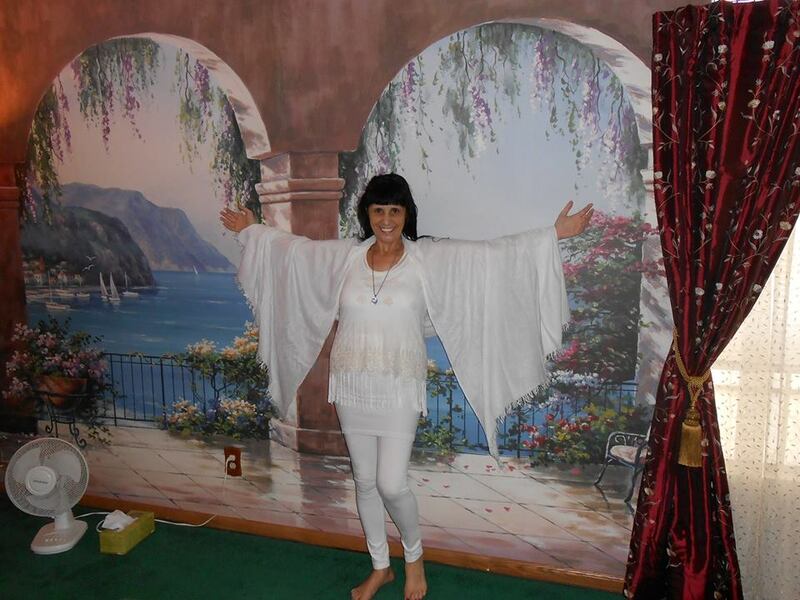 !” – Joe T.
“After taking Reiki initiation with you, my life has completely turned around. My relationship with my boyfriend has really blossomed, my business is the best it’s ever been, and I’m happy, I’m really, really happy. Thank you Zaki, for transforming my life!” – Rita S.
What Makes Zaki’s Initiations Unique? In accordance with the true, traditional way of Usui Reiki Initiation, you will receive threeattunements. Most initiations today do only one. These attunements, given by Zaki to each person individually, will open your channels so you may fully receive this energy. With three attunements, you can achieve much better results. These attunements are unique in that they also incorporate the use of Aromatherapy (Aura Soma,color aroma, and Sound Therapy (specifically tuned crystal singing bowls) to thoroughly clean the aura before we start the initiation process. One bowl in particular, our hand-held, is of very high quality and purity of sound. It is specifically tuned to open the heart chakra.